クラスメソッド > ニュース > プレスリリース > Classmethod announces its partnership with Alteryx, Inc. for forecast analysis and visual analysis with easy operation in Japan. Classmethod announces its partnership with Alteryx, Inc. for forecast analysis and visual analysis with easy operation in Japan. Classmethod, Inc., a cloud integration company located in Tokyo, Japan, has announced a partnership with Alteryx. As mobile and cloud technologies become widely used, companies should leverage their big data to create effective marketing activities and make more rapid and accurate decisions. However, many investments and professional knowledge are required to analyze big data. 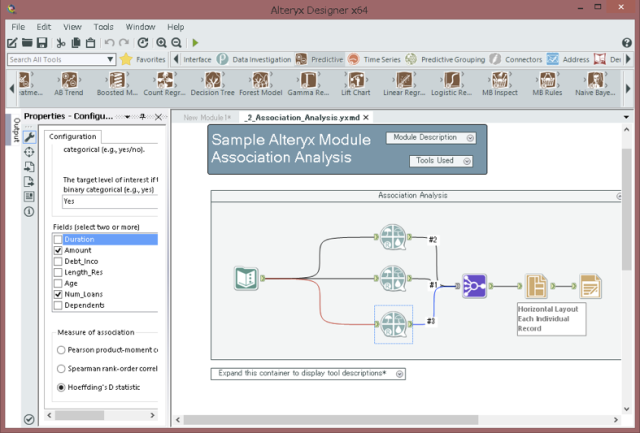 Alteryx provides features which enable the marketing department staff and operation division employees (line-of-business analysts) to blend many kinds of data, design a data workflow, and analyze the statistical approach by simply using the mouse to drag various tools onto the workflow canvas. 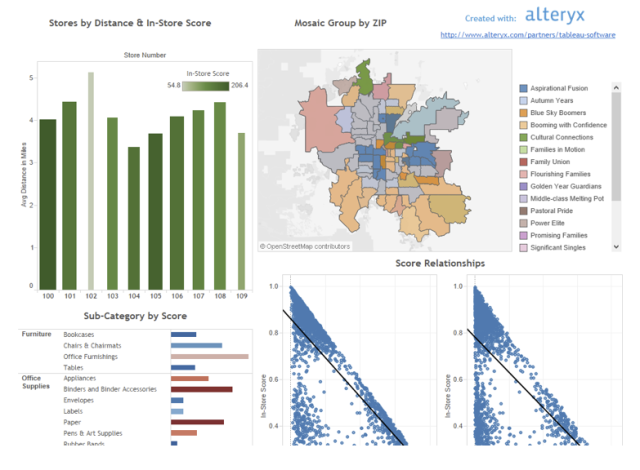 As an approach for forecast analysis, Alteryx uses R, an open source programming language specialized for predictive statistical computing and graphics. For example, Alteryx users can take a group of customers, discover products which sell well together, make some suggestions of their products to the customers, forecast the sales and decide the appropriate price with ease. Using the data obtained by these methods, users can carry out the campaign to their customers and provide them with the products that they are interested in, create the measures based on the future prediction, and improve the return on investment (ROI). In addition to built-in visualized graph features, Alteryx also supports the Tableau file format, a data visualization tool. Alteryx can export the result of data blending or forecast analysis as a Tableau Workbook file, and deploy them to Tableau Server. This feature accelerates the speed of decision making. In addition, Alteryx provides the connector for cloud data sources such as Amazon S3 or Amazon Redshift, social media data and marketing automation software such as Marketo or Salesforce. Therefore, no additional custom software or systems are required. Classmethod is the cloud integrator in Japan. We are focused on system environment, mobile application and big data solution, using AWS products for improving productivity of the customer. Our services are IT system management of 24/7, cloud native design, big data analysis platform development, mobile application development, data center migration, performance tuning, server monitoring, etc. Currently, 500+ customers, and 1000+ of servers has been managed by us daily. Always think about loosely-coupled component design for scalability, availability, programmatically, agility and security. Certified APN(AWS Partner Network) Big Data Competency in 2014, is only 13 companies of 10000+ registered partners. Certified APN Premier Consulting Partner in 2015, is only 28 companies. Manage our technology blog, has more than 3000 article database of knowledge and experiences about AWS and related technologies.